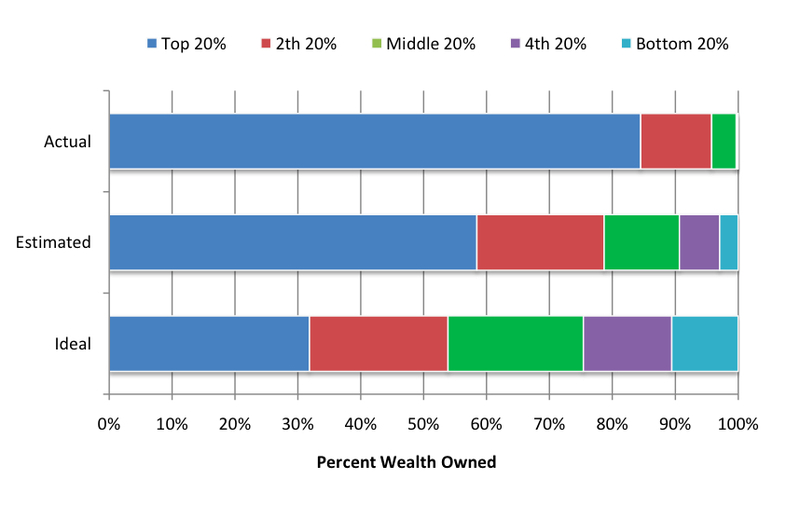 Americans, as it turns out, are pretty egalitarian when it comes to the distribution of the nation’s wealth. Dan Ariely and Michael I. Norton (pdf) have just completed a study [ht: mg] in which they demonstrate both that Americans underestimate the current level of wealth inequality in the United States and that they prefer a more equal distribution than exists right now. First, a large nationally representative sample of Americans seem to prefer to live in a country more like Sweden than like the United States. Americans also construct ideal distributions that are far more equal than they estimated the United States to be – estimates which themselves were far more equal than the actual level of inequality. Second, across groups from different sides of the political spectrum, there was much more consensus than disagreement about this desire for a more equal distribution of wealth, suggesting that Americans may possess a commonly held “normative” standard for the distribution of wealth despite the many disagreements about policies that affect that distribution, such as taxation and welfare. 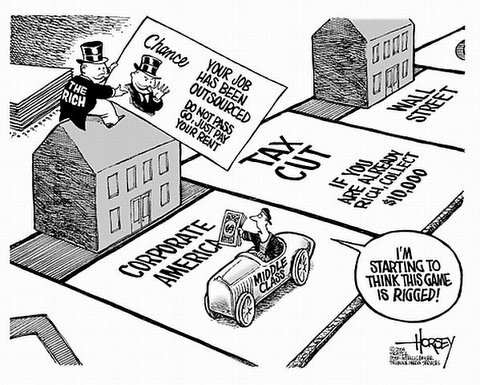 Now, the question is, how do we achieve the kind of economy and society associated with the more equal distribution of wealth most Americans want? I’d really like to be a part of community where I can get advice from other experienced individuals that share the same interest. If you have any recommendations, please let me know. Thank you! Thanks for sharing your thoughts about uk indefinite leave to remain exam.